Young and Entertaining: All grown up.. I can't thank you all enough for tuning into my little project here, Young and Entertaining. 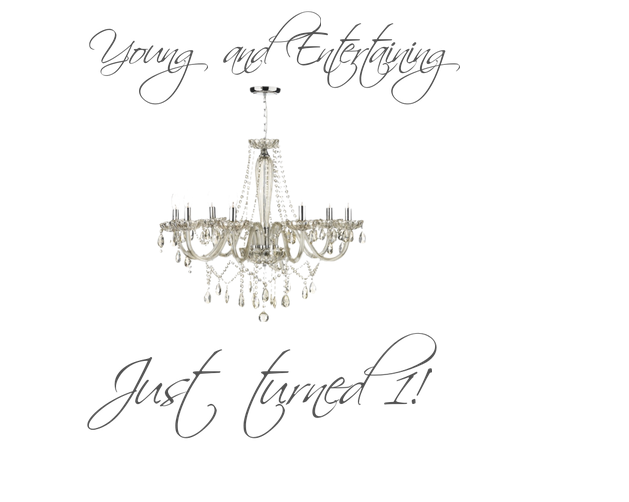 Blogging still feels new to me, but I'm excited I made it through a full year and plan to keep going strong. I hope you have tried a recipe or two and loved it as much as I've loved writing, eating, serving, and photographing it. Here's to another great year! Cin Cin!